In 1973 the idea of the Kettle Award came to Europe with the mutual agreement of Don Gussow, founder of the American Candy Kettle Association and Guy Urbain, an eminent Parisian confectioner, and a Club was formed in Europe. 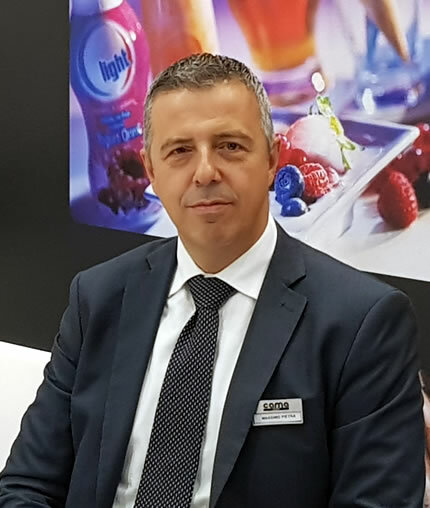 The European Candy Kettle Club consists of members from companies supplying ingredients and machinery to the confectionery industry as well as members of the Trade Press. The Club honours each year a company representative from the European confectionery industry who has excelled in the confectionery, chocolate and biscuit industry in research and development, innovation in product quality and production techniques and outstanding marketing and sales implementation, as well as a unique contribution to the industry's progress. In recognition of these achievements, each year at an award ceremony in their choice of European venue, the winner receives a traditional miniature Copper Candy Kettle and a certificate. There are quite many good chocolatiers in France, but only a few of them are exceptional. One of these modern and innovative companies is Chocolatier Schaal in Strasbourg. The owner Jean-Paul Burrus finds a perfect mixture between traditional French pralines – and with his team of 700 people in development, production and logistics, he manages to produce over 1,200 products. Valrhona receives 2015 European Candy Kettle Award! Winner by success - Fazer wins Candy Kettle Award 2013! Massimo Pietra, was born in 1967 in Milan (Italy). Graduated in Political Sciences (International Law & Economics) at the Università Statale di Milano, he started his career in the international sales of machines and systems.